These ultra powerful units are equipped with digital circuit controls and advanced infrared auto sensing technologies. 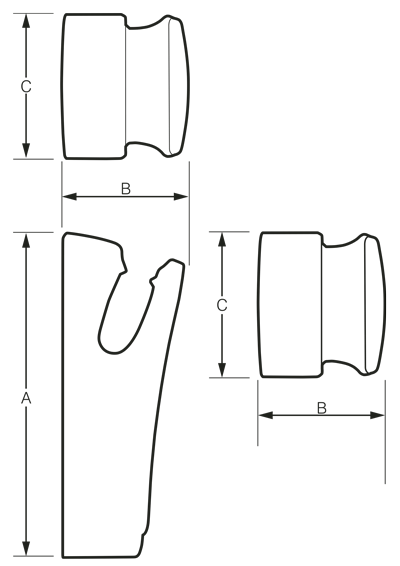 Users simply operate the unit by placing their hands in a comfortable position with the unit. They require minimal maintenance and are available with a white or silver coloured front face. The Rapid Dry Jet features a unique high-speed motor that has a low overall power consumption, concentrated air flow and a quick drying process. It is smart programmed to cease operation after a standard drying time has been reached to reduce energy consumption. Designed to be aesthetically appealing, the Rapid Dry Jet will keep your washroom looking modern. 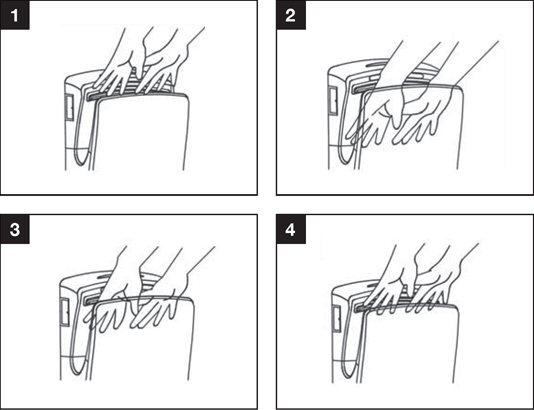 To use the unit, simply place your hands in the drying area and move them up and down. Hands will be dry in seconds. 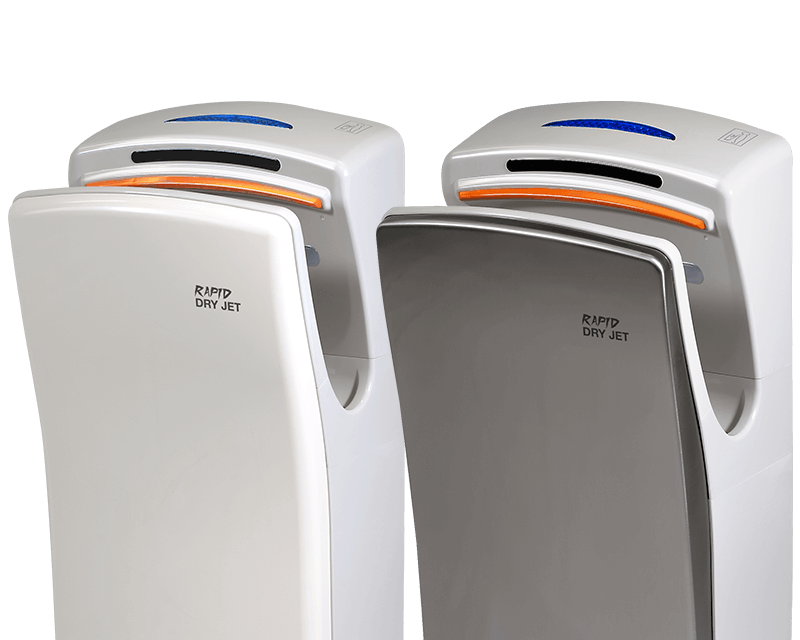 The Rapid Dry Jet smart hand dryer has multiple safety features that protect the unit against over heating and electrical surges. The user is kept safe and the hand dryer is protected. It also features an excess water tray that helps to minimise water landing on the floor. Its easy to clean design, non-touch operation and anti-bacterial filter makes the Rapid Dry Jet perfect for areas with strict hygiene requirements. It also comes with a brush to clean the water tray drain hole. Accurate and reliable air control is a result of a built in smart control microchip and advanced infrared technology. 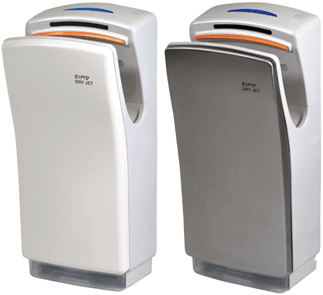 The hygienic hands free operation automatically starts when the sensor is triggered. The unit will stop operation as soon as your hand moves away. The robust, streamline casing protects the technology within while being easy to maintain and clean. 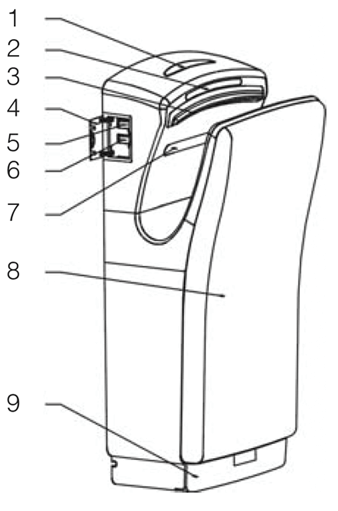 Place hands into the slot. Move hands up and down. Hand dryer stops automatically after hands are removed.